Friday, Feb. 1- 5:15pm -- TYKES BASKETBALL GAME, Gentle Memorial Building, Pacers vs Nets. 5:15pm — TYKES BASKETBALL GAME, Gentle Memorial Building, Pacers vs Nets. 6 p.m.-8 p.m. — HOGAN TIRE SKATE TIME, Millar Civic Center. Free night including free skate rentals. Prizes for the kids. Concessions will be available. 9 p.m. — NIGHTTIME HEADLAMP SNOWSHOE HIKE, Military Street Baptist Church. Bring a headlamp or flashlight. The foyer will be open with the fireplace blazing and hot cocoa available. Snowshoe and cross-country trails open for use all weekend. 6 a.m.-10 a.m. — MEDUXNEKEAG RAMBLERS’ SPECIAL BREAKFAST, Meduxnekeag Ramblers Clubhouse, Wiley Road, Littleton. Cost is $8 for adults and $2 for children under 12. Menu includes eggs, bacon, pancakes, baked ham, baked beans, homemade donuts and muffins, special pastries and beverages. 50/50 drawing. 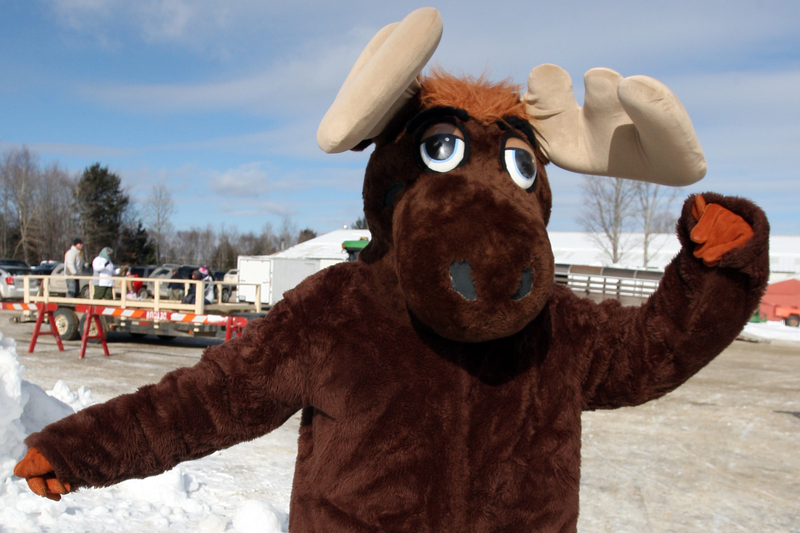 6 a.m. — REGISTRATION BEGINS FOR THE MOOSESTOMPERS ICE FISHING DERBY AT NANA’S (Military Street, Houlton). Pre-Registration available at Nana’s on Friday and at MACS Trading Post. Those purchasing tickets are automatically entered for a chance to win $500 as well as door prizes. Registrations are $10 each or three for $20. $200 for the biggest trout; $200 for the biggest togue. Second place is $100 & third is $50. Prizes for pickerel and perch, and kids prizes, too. Weigh-in times and rules and regulations are on registration tickets. For additional information or tickets call Chris Putnam at (207) 532-3600, Ellsworth Malone at (207) 551-4406 or Steven Rouse at (207) 694-3770. 8:30 a.m.-12:15 p.m. — PEE WEE and TYKES BASKETBALL GAMES, Gentle Memorial Building. Schedule includes Lakers vs. Jazz (Pee Wee) at 8:30, Suns vs. Rockets (Pee Wee) at 9:30, Celtics vs. Pacers (Tykes) at 11 a.m. and Bulls vs. Magic (Tykes) at 11:45. 10:45 a.m. — 35th ANNUAL 5K WILD KATAHDIN TRUST SNOW RUN. 2-mile walk begins at 10:45 a.m. and run at 11 a.m. First run in the Aroostook Musterds County Challenge Series. Registration i9 a.m.-10:30 a.m. in the Millar Civic Center’s community room on the second floor. Fee is $12 with hat or T-shirt for the first 50 registered participants. The course starts and finishes at the Millar Civic Center’s front entrance. An adult guardian must accompany children under 10. Categories for 5K Run: 14 and under, 15-18, 19-29, 30-39, 40-49, 50-59 and 60 and over. Proceeds benefit Houlton Parks and Recreation Department. Refreshments available after the run/walk. Awards ceremony at 11:45 a.m.: Run — first place male and female for each age category, overall male and female. Walk — first five walkers. Special award — “MEAN” runner. For more information, contact the Rec Department at (207) 532-1310 or check the Moosestompers Facebook page. People of all abilities are welcome. 11 a.m. — GIANT SLIDING HILL OPENS. Enjoy Derby Hill for sliding throughout the weekend. Bring your own sled, flying saucer or toboggan and have fun. No supervision — slide at your own risk. 11 a.m. — PEEWEE HOCKEY vs. WOODSTOCK, Millar Civic Center — Concessions available. 12 p.m.-3 p.m. — PUBLIC BEAN DINNER — American Legion Post 47. Enjoy a bean dinner with all the fixings at the Legion Post on Bangor Street. Cost is $7 per person. 1 p.m. — HOULTON/HODGDON/S. AROOSTOOK BLACKHAWKS vs. BREWER, Millar Civic Center. Support the local team. Adults $5, youth and seniors $3. Concessions available. 1 p.m.-3 p.m. — HOULTON PARKS and REC CROSS COUNTRY SKIING, Community Park. Visit the Houlton Parks and Rec Winter Sports Trailer behind the log cabin. On loan free: skis, poles and boots provided by Houlton Rec. 1 p.m.-4 p.m — OPEN GYM and GAMEROOM, Gentle Memorial Building. Free time for youth to play games and shoot hoops. Youth grades 2-12 are allowed unsupervised; younger children may attend with parent or guardian. 4 p.m.-6 p.m. — READ TO ME CHALLENGE, Millar Civic Center Community Room. Kickoff for the month-long Read to ME Challenge. Story time and crafts. Free for all participants. 4 p.m.-6 p.m. — FREE PUBLIC SKATING, Millar Civic Center. Skate rentals $2. Concessions available. 5 p.m.-8 p.m. — SLIDE UNDER THE LIGHTS, Derby Hill. Bring sleds and enjoy nighttime sliding. 5:30 p.m. — ATV/UTV/SNOWMOBILE LIGHT PARADE. Starts at Community Park, out Randall Avenue, down Pleasant Street, across Summer Street, down Main Street, around Market Square, back up Main Street, across Summer Street, up Pleasant Street and in Randall Avenue to end at Community Park. Bonfire after the parade. 6:30 p.m. — CONCERT, COOKIES and COFFEE, Wesleyan Church. Free live concert; love offering to benefit missions. 9:30 p.m.-12:30 a.m. — MOOSESTOMPERS BALL, Downunder Sports Pub. Live music. Cover charge starting at 8 p.m.
9:30 a.m. — “INTRO TO PLAY” ICE HOCKEY, Millar Civic Center. Watch the youngest players sharpen their skills. Concessions available. 10 a.m.-2 p.m. — FREE KIDS’ FISHING DERBY, for kids under 16 on Drews Lake only at the public landing. Free bait and free hot dog lunch. Traps available; holes will be drilled for participants. Prizes. 11:30 a.m. — FREE FAMILY MATINEE, Temple Theater. Family-friendly movie with popcorn and other treats. 12 noon — GIANT SLIDING HILL OPENS. Enjoy Derby sliding. Bring a sled, flying saucer or toboggan. No supervision — slide at your own risk. 12 a.m. — SAWDUST PRIZE SEARCH, Community Park. Kids can dig in the sawdust for prizes. 11 a.m. — PEE WEE HOCKEY vs. PRESQUE ISLE, Millar Civic Center. Concessions available. 12 p.m.-2 p.m. — ANTIQUE AND VINTAGE SNOWMOBILE DISPLAY, Community Park. Bring restored or vintage and antique sleds. Public will vote for winners for Vintage Single Cylinder, Vintage Twin Cylinder, Vintage Open and Oldest Vintage Sled. $100 prize for People’s Choice Award. 12 p.m.-3 p.m. — VITAL PATHWAYS BOOTH, exhibit hall. 12 p.m.-3 p.m. — FOOD CONCESSION OPEN, exhibit hall. Houlton Fire Department Ladies Auxiliary will have snacks, light lunches and hot drinks. 12 p.m. — SNOWSLED RIDES, Community Park. A local snowmobiler will pull participants on a special toboggan. 12 p.m.-3 p.m. — HOULTON PARKS and REC CROSS-COUNTRY SKIING, Community Park. Visit the Houlton Parks and Rec winter sports trailer behind the log cabin. On loan: free skis, poles and boots provided by the Rec Department. 1 p.m.-4 p.m. — OPEN GYM and GAMEROOM, Gentle Memorial Building, for youth grades 2-12. Younger children may attend with parent or guardian. 1:30 p.m. — 6TH ANNUAL SNOWDANCE, Community Park. Dance will be on YouTube. 2 p.m. — HALF-DOLLAR SCRAMBLE FOR KIDS, Community Par. Three age groups: 6 and under, 7-9 and 10-13. Three piles of snow mixed with 900 half-dollars for the kids to find. 2:30 p.m. — GIANT BONFIRE, Community Park. The Houlton Fire Department will host. Hot chocolate available. 2-4 p.m. — FREE PUBLIC SKATING, Millar Civic Center. $2 for skate rentals. Concessions available. 3 p.m. — FISHING DERBY FINAL WEIGH IN AND AWARDS CEREMONY, Nana’s on Military Street. Snow creation contest results will be announced on Monday, Feb. 4. 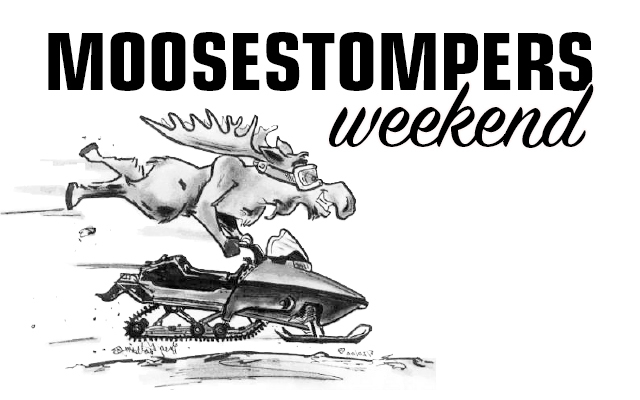 For more information, see rules and details on our Facebook page and at moosestompers.com.